San Diego Home Sales website search offers all Alpine homes, condos and foreclosures for sale. You are able to get new property listings daily that meet your search criteria. Alpine, California, is an unincorporated community in the eastern portion of San Diego County. 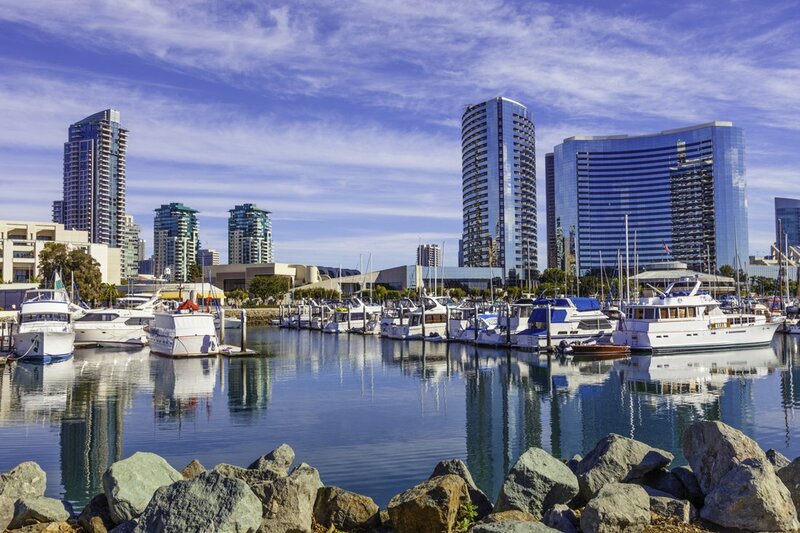 It lies about 30 miles east of downtown San Diego, but it sits along Interstate 8, allowing quick and easy access down into the city. 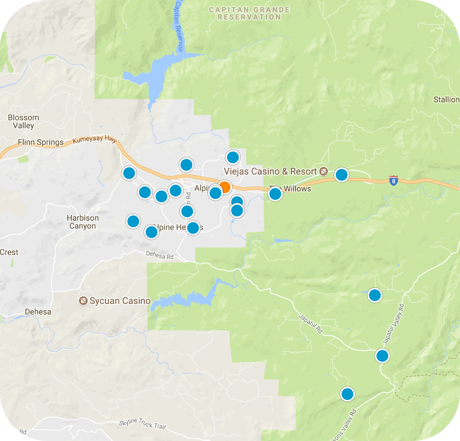 The community makes up an area of about 27 square miles and sits at an elevation of over 1,800 feet, higher than the communities in the western portion of the county. At the 2000 census, it was home to a population of just over 13,000. The area is much more rural than the communities in western San Diego County, and Alpine is home to the headquarters of both the Ewiiaapaayp Band and Viejas Band of Kumeyaay Native Americans. The community in 2000 was measured to have a median annual household income of almost $62,000. A 2008 estimate put that figure at nearly $83,000, well above the state's average of just $61,000. The median house or condo value in 2008 was around $648,000. The community has a small percentage of residents who are foreign-born, with only about 5.5% of residents born outside the U.S., versus a state average of more than 26%. It is also an education community, with nearly 90% of residents having completed high school. Most of the community's residents, nearly a third, commute outside during the daytime to work elsewhere in the region. The most popular industries in which Alpine residents work are construction, public administration, education and health care. The nearest hospital is the Scripps Hospital East County, located about nine miles away in El Cajon. There are three elementary and one middle school located in the community. Students attend high school nearby in El Cajon. The community has its own branch of the San Diego County Library as well as a community center and several local parks, the Alpine Historical Society-Museum and two shopping centers. It is just west of the massive Cleveland National Forest.